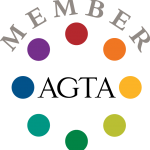 The Texas Jewelers Association is looking strong after 110 years of service to our unique industry. Since we met at our annual convention last year you have undoubtedly noticed changes in consumer behavior and vendor relations. These challenges and/or obstacles not only affect our businesses but spill over into our personal lives. Belonging to TJA gives us a legitimate way to bond together so that we can learn from each other and protect our businesses. Our mutual goals are not just to survive but to grow and thrive. Honor in the jewelry business is essential. I believe this to be the basis of our success. Through the years accredited retailers and wholesalers have built their business foundations on reputations as honest business men and women. Together with me, your president, the past president, vice president, secretary/treasurer and the convention committee chair have been working hard to insure that our 111th year is going to be a good one! We started off the New Year strong and because of this we have increased our membership numbers. Please join me in encouraging your vendors and colleagues to consider joining forces with us! Since we are a non-profit 501 organization all of our information is public. Therefore I would like to invite you to go to our website and take a look at our past records and see for yourselves where we have been and where we stand now. Our Secretary/Treasurer, Rex Solomon has done a great job updating our website. It now includes past magazines, past financials and even tax returns along with past board meeting minutes. 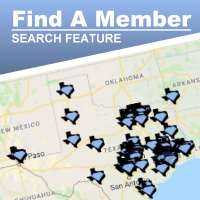 When you go to www.Texasjewelers.org you will find all of this information located under “Archive Items” under the “Financials & Tax Returns” icon. I’m so happy to announce that our annual convention is coming up October 28th in Austin, Texas! It will be so great to welcome you all to my great hometown of Austin! Mark your calendars now! This show is planned well in advance by Lucinda Rogers! Thanks again Lucinda for your commitment to TJA and for serving as our Convention Committee Chair. As our big event approaches we will welcome any members who could offer a few hours of volunteer time. It’s good for your spirit and business. 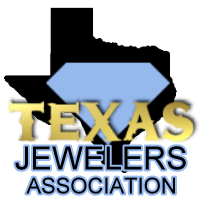 This year Texas Jewelers Association Convention will be hosted at the wonderful Crowne Plaza on IH35 near downtown Austin. Since the convention is taking place the weekend before Halloween we are planning on playing it up by having a Halloween theme! Don’t be scared! I know how creative some of you are and I can envision some potential Gold Prospectors, Diamond Lils or Harry Winstons to show up!